2015 marks the second year of our participation in this local community festival. 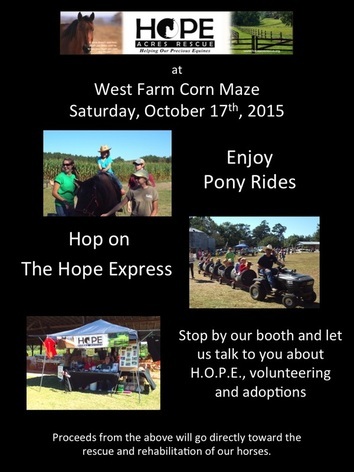 We will have the Hope Express on site and horse rides all benefiting our rescue and rehabilitation efforts in the South Carolina area. We look forward to seeing many repeat guests as well as making new friends within the Tri-County area. We are committed to sharing H.O.P.E. with our neighbors and enlightening those about the ever present and growing need to impact our local equine community in a positive way. We will have a booth set up with information on our rescue and rehabilitation efforts, food for purchase and the kids can hop aboard the Hope Express for a ride. 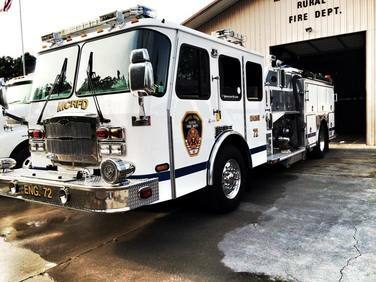 Our local fire departments have always been huge supporters of the rescue and we look forward to being along side many of these hometown heroes as they participate in their annual Fire Prevention Week. 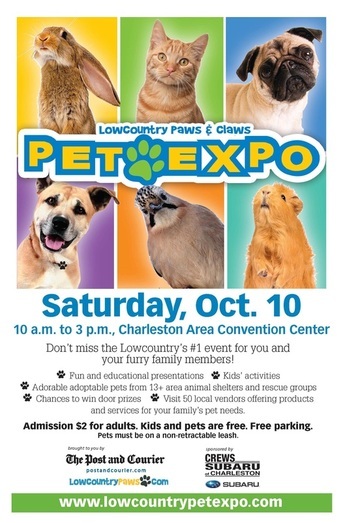 The 2015 Paws & Claws Expo. We will have information on site about our program, adoptable horses and how you can get involved to support our mission. We would love to see you and talk with you about H.O.P.E. Acres; who we are, where we've been and all that we have in store for our community, rescue efforts and clinics. We've got a free gift for you just for stopping by. This is always a great event for animal owners or those looking to add a furry family member. Admission is $2 for Adults. Kids & Pets are free. All proceeds go directly toward the rescue, rehabilitation and care for those on the farm. Come join us at the 6th annual Charleston Mac Off. No other food combines love, comfort, and Southern roots like Mac and Cheese. The Mac Off is an event that gives tribute to our love of this versatile cheesy dish and we are seeking to crown the best of the best. 25 local restaurants, cafes, and caterers will compete for the Best Mac and Cheese in Charleston. Last year, a record of 6,000 people gathered to sample traditional and gourmet offerings of Mac & Cheese and award bragging rights to The Best Mac & Cheese in Charleston. This year will be even better!